We looked at the top 11 Stand Mixers and dug through the reviews from 84 of the most popular review sites including Top Ten Reviews, Steamy Kitchen, Everything Kitchens, New York Times Wirecutter, Consumer Reports, BestReviews and more. The result is a ranking of the best Stand Mixers. Our experts reviewed the top 11 Stand Mixers and also dug through the reviews from 84 of the most popular review sites including Top Ten Reviews, Steamy Kitchen, Everything Kitchens, New York Times Wirecutter, Consumer Reports, BestReviews and more. The result is a ranking of the best of the best Stand Mixers. When you think of a stand mixer, the KitchenAid Artisan is likely the first name to pop into your mind, and for good reason. It has a stellar reputation, thanks to its durability and consistent performance. This model aces professional and home baker tests. It also offers a wide range of attachments, making it a multi-tasking master in the kitchen. DWYM Kitchen Experts plus Top Ten Reviews, New York Times Wirecutter, Consumer Reports, BestReviews, Best Reviews Guide and 1 more. Along with user reviews from Amazon, Walmart and Best Buy.
" This mixer aced every test we put it through due to its powerful motor and excellent design." "This model has less clearance for adding ingredients." Designed to impress, this powerful mixer is a top performer. It can handle a wide range of batter consistencies with no problem. Plus, convenient features, like a beater with a flexible edge and a timer to control mixing time, make it easy to use. DWYM Kitchen Experts plus Top Ten Reviews, Consumer Reports, The Kitchn, Best Reviews Guide. Along with user reviews from Amazon.
" This mixer performs well and is convenient to use." "My only minor complaint is that it takes two hands to tilt up the head — one to hit the tilt-release button and one to push up on the front handle — which can be inconvenient if one hand is..."
KitchenAid ups the ante with the Professional series. Thanks to a more powerful motor and larger mixing bowl, this one handles bread dough better than the Artisan models. Designed for bigger batches, this model provides enhanced kneading action due to the large dough hook. It also transforms into a multi-use appliance with a wide range of add-on attachments, like a meat grinder and grain mill. DWYM Kitchen Experts plus Consumer Reports, BestReviews, New York Times Wirecutter, Everything Kitchens and 1 more. Along with user reviews from Best Buy, Target, Walmart and Home Depot.
" Kneading performance is Excellent." "Falls on the high end of the price spectrum – but if you are looking the best for your kitchen you won't be shocked by the price." This budget-friendly stand mixer is best described as a workhorse that can keep up with the best models on the market. Plus, it’s lightweight so it's easier to move around the kitchen. However, one downside is the round speed dial. This control can be difficult to clean and hard to turn with sticky hands. DWYM Kitchen Experts plus Top Ten Reviews, Steamy Kitchen, Everything Kitchens, New York Times Wirecutter. Along with user reviews from Amazon and Home Depot.
" The Cuisinart Precision Master 5.5-Quart Stand Mixer proved in our tests that it is a kitchen workhorse that can blend, whip and knead with the best mixers on the market. It comes with a big and durable stainless steel bowl,..."
"The speed dial is round, which makes it hard to operate if your hands are sticky and batter-y. (The KitchenAid has a lever, which I can operate with my palm or even my arm). Plus, the little tiny grooves in..."
We identified the majority of the stand mixers available to purchase. 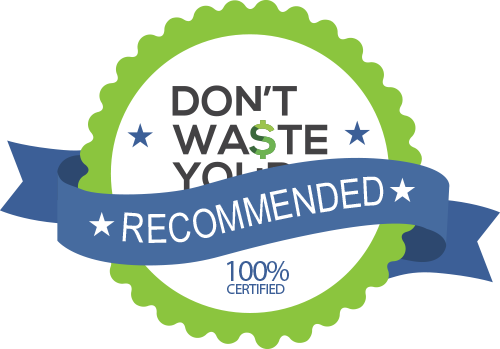 Reviews from our DWYM category experts and analysis of some of the most respected sources including: Top Ten Reviews, Steamy Kitchen, Everything Kitchens, New York Times Wirecutter, Consumer Reports. We also incorporate user reviews from the leading retailers including Amazon, Home Depot, Walmart, Best Buy, Target and 3 others. This mixer aced every test we put it through due to its powerful motor and excellent design. The machined aced our whipping, mixing, and kneading tests, plus it can take on an assortment of power attachments, including a pasta maker and food grinder. It comes with a whisk, flat beater, and dough hook. Features a tilt-head design for easy mixing and attachment changing. Delivers 59 touchpoints for powerful mixing, and comes in 20 colors to fit any decor or personality. Falls at the middle of the price range. There is no overload protection on this machine. This model has less clearance for adding ingredients. Some of our testers commented that it seems a bit less powerful than others on our list. The bowl is only 5 quarts, and the warranty only 1 year. Cuisinart's light-weight mixer is easy to take in and out of storage. If you're only occasionally mixing a cake or a batch of cookies and then not using your mixer for a while, then the Cuisinart would be a good fit for you. If you want to make thick bread doughs, I would recommend a different mixer like the Bosch or KitchenAid. The stand mixer has long been a kitchen staple and has more recently become a wedding registry must-have for home chefs and bakers of all abilities. This one kitchen appliance holds the power to transform arduous recipes into delicious baked goods in a snap. As such, stand mixers can seem complex, and they do feature multiple parts. They have a powerful motorized base that connects to beater attachments and a bow beneath. Because of its size and power, it generally comes with a higher price tag, which can be intimidating. The alternative is a hand beater, which is less powerful and can be used to mix in a variety of different bowls. But they are no match for heavier substances, like bread dough. Once you understand the full capabilities of a stand mixer, you’ll realize the incredible value they actually bring to any kitchen. The main advantage of the stand mixer is a powerful motor. 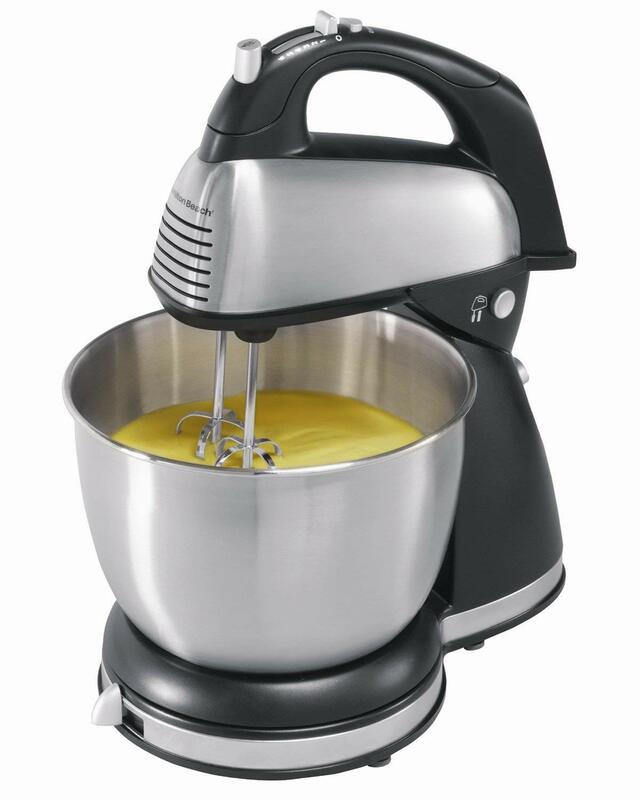 Since it sits on a solid base, a stand mixer can handle a much stronger motor than any handheld beater. This motor can tackle stiff doughs with ease. From thick cookie dough to kneading bread dough, it is the supreme mix master. Additionally, some stand mixers come with a wide range of accessories and beater options. For example, the KitchenAid stand mixer does much more than mix up dough. There are ice cream churning attachments, pasta-making attachments and more. The innovative company continues adding to the attachment repertoire. Stand mixers are heavier than most other small kitchen appliances, weighing in around 20 pounds. As a result, many new owners display them proudly and prominently on the kitchen counter, primarily to avoid moving them. They can be difficult and unwieldy to move from storage to a useful spot and back. The most well-known brand among the recommended models is KitchenAid. It comes as no surprise because the company essentially created the category back in 1919. KitchenAid introduced the first stand mixer made for the home 100 years ago. KitchenAid now offers a range of mixers, starting with the Classic Series all the way up to the Professional and Commercial collections, with price points to match. Since then, many other viable options have come onto the market. That competition also saw inexpensive stand mixers introduced for under $50. However, you get what you pay for with many of these bargain mixers. They are not as sturdy and come with smaller work bowls. In general, they also can’t handle the same types of dough that the heavy-duty workhorses can. In fact, sometimes they can move along the counter if the beaters encounter dough that is too tough for the motor. When it comes to purchasing a durable stand mixer, there are several things you’ll want to look for. First, compare bowl capacity. Most stand mixers include a bowl between 4.5 and 5.5 quarts. This is ideal for making an average batch of cookies or a loaf of bread. However, if you think you’ll embark on larger quantities, the larger bowl size makes more sense. Incredibly, the KitchenAid boasts its 6-quart mixer can make 13 batches of cookies or more than 8 loaves of bread at once. Next, think about counter and storage space. While most stand mixers are roughly the same size, there is some variability. You’ll want to measure your cabinet and counter to ensure the stand mixer will fit. Don’t forget to measure the mixer with the head tilted up to its highest point to ensure you can use it in the space you have. Also, consider how powerful the motor is. If the recipes you like to make include thick doughs, a more powerful motor will be well worth any additional cost. Viking boasts one of the most powerful motors on the market at 1000 watts and weighs more than 20 pounds. For the average baker, that’s way more power than you’ll ever need, so the budget-friendly Cuisinart and Kitchenaid Artisan models offer a good balance of price and power. Starting at 250 watts or more will generally offer the power you’ll need for most recipes. Some come loaded with digital technology, like timers to keep your recipes on track and kitchen moving smoothly. For example, you can set the timer on The Breville Scraper Mixer to knead for 10 minutes, and the mixer will whir along until the timer shuts it off automatically. That leaves your hands free to focus on other tasks around the kitchen. Though it doesn’t have a countdown timer, the KitchenAid mixers feature a universal plug on the top of the head. This is where clever attachments, like citrus juicers, sausage grinders, pasta makers and ice cream makers, fit and elevate the functionality of the appliance. Regardless of the year that the stand mixer was produced, this plug remains the same so it will fit every attachment. Stand mixers come standard with three basic attachments: a paddle, a whisk and a dough hook. The paddle is the multi-tasker, whipping up most batters. The whisk is primarily for beating cream into whipped cream or egg whites. The dough hook kneads bread dough. Most stand mixers feature a tilt-head on a hinge that tips up to lift the beaters out of the stationary bowl. KitchenAid offers this as well as models in which the bowl lifts to meet the beaters. This was incorporated in higher-end models and primarily used in commercial and professional kitchens. The tilt-head design offers a bit more access to the bowl. However, it can be difficult to fit under cabinets, and the bowl is generally a bit smaller than the bowl-lift version. Whatever specific model you choose or customization options you include, you can rest assured these stand mixers will deliver in your kitchen. This year, stand mixers turn 100 years old. KitchenAid created and introduced the very first stand mixers for home use back in 1919. Its history goes back a bit further, though. In fact, Hobart Manufacturing created the Model H, an industrial strength electric stand mixer in 1908. It held a whopping 80 quarts, so it made sense to use in commercial bakeries and naval battleships where mass quantities were the norm, but not in the home kitchen. Its slimmed down sibling, the first KitchenAid, entered homes in the 1920s, perfectly timed with the expansion of electricity. The name came from one woman’s reaction to the helpful appliance, saying, “All I know is it’s the best kitchen aid I’ve ever had.” The rest is history. It only took 10 years and an Egmont Arens redesign in the 1930s to reach a model similar to those on shelves and in kitchens today. Since then, many other manufacturers have joined the kitchen revolution, including Cuisinart, Breville and more. KitchenAid has also redesigned its stand mixer to meet the changing needs of home and commercial kitchens as well. It introduced a variety of color options in the 1950s and more than 30 hues today. KitchenAid stand mixers can transform into multi-use appliances with clever attachments, such as citrus juicers, sausage grinders, pasta makers and ice cream makers. 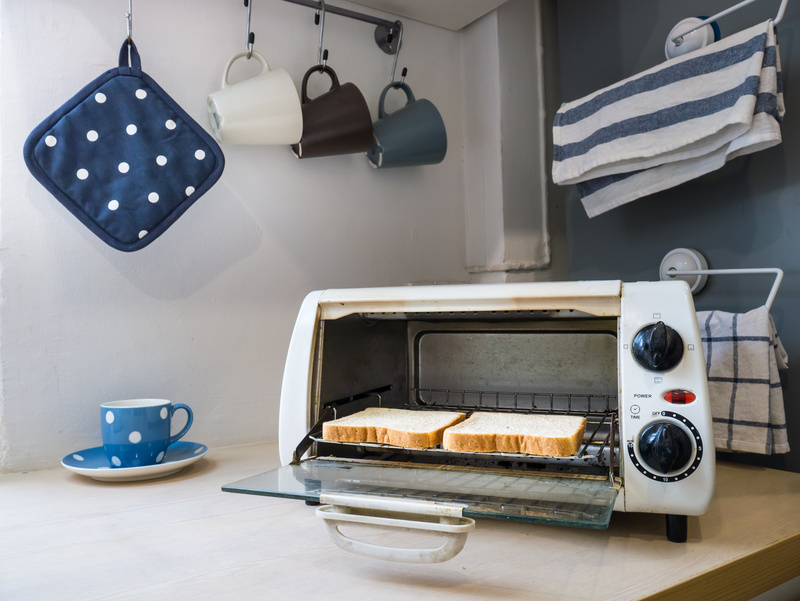 These extras fit and elevate the functionality of the appliance. KitchenAid appliances feature a universal plug for these attachments on top of the head, which remains the same regardless of the year the mixer was produced. If making bread is your primary need for a stand mixer, pay close attention to features like the motor wattage, bowl size and dough hook. These features are worth paying extra for in order to have the proper power for kneading dough with ease. Some stand mixers are notoriously heavy, so be sure to measure your kitchen and storage space carefully before purchasing. You’ll be glad you did when you don’t have to lug the 20-pound machine around the kitchen constantly or strain to lift the beaters while adding ingredients to the bowl. There are two main variations of stand mixers. Most at-home stand mixers include a tilt-head design. The professional and commercial grade stand mixers generally use a bowl-lift design instead. Both work well, and it’s more of a personal preference which one you go with. While there are many separate attachments that you can buy, you can expect three main beater attachments to come standard with most stand mixers. These include a paddle, a whisk and a dough hook. The paddle is the multi-tasker, whipping up most batters. The whisk is primarily for beating cream into whipped cream or egg whites. The dough hook serves to knead bread dough. KitchenAid sells millions of stand mixers annually. In fact, during 2018, the company sold more than 2 million. There are decorative decals available for purchase on Etsy that will allow you to personalize your mixer, so that it’s unlike any other model on the shelf. For the Stand Mixer category, we analyzed 84 of the most popular reviews including reviews from Top Ten Reviews, Steamy Kitchen, Everything Kitchens, New York Times Wirecutter, Consumer Reports, BestReviews and more. The result is a ranking of the best Stand Mixers.